Angola has changed the "vices against nature" provision in its law, widely interpreted to be a ban on homosexual conduct, and made discrimination against people on the basis of sexual orientation punishable by law. On 23 January 2019 the Angolan parliament adopted its first new penal code since it gained independence from Portugal in 1975 when it removed the "vices against nature" provision inherited from its colonisers. This is the latest reform measure taken by the administration of President João Lourenço, who took office in 2017 after the long rule of José Eduardo dos Santos. These colonial-era laws make the discrimination and abuse of individuals or groups based on gender and sexual orientation acceptable. Human Rights Watch reported that although there are no known prosecutions under the law, the country's only gay rights lobby group, Iris, has often complained that its members face discrimination when accessing health care and education. The group has called the change a "historic moment" as it has not only given them legal status but will support the organisation's efforts to defend the rights of sexual minorities in the country. 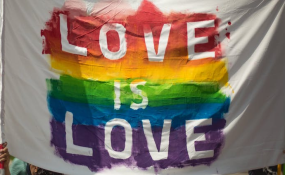 This embrace of equality and tolerance sees Angola join other countries that have recently decriminalised homosexuality, such as other former Portuguese colonies Cape Verde (2004), São Tomé and Principe (2012) and Mozambique (2015). Other African countries that have taken this step include Lesotho (2012) and Seychelles (2016), while Palau (2014) and Nauru (2016) in Oceania did the same. A report by Human Rights Watch added that individuals who refuse people employment or services because of their sexual orientation could spend up to two years in jail under the new law. "In casting aside this archaic and insidious relic of the colonial past, Angola has eschewed discrimination and embraced equality," Human Rights Watch said in a recent statement.